This is it people! The final stretch! The end is near! Wait... that makes me sound like I'm talking about the end of days. No, no... 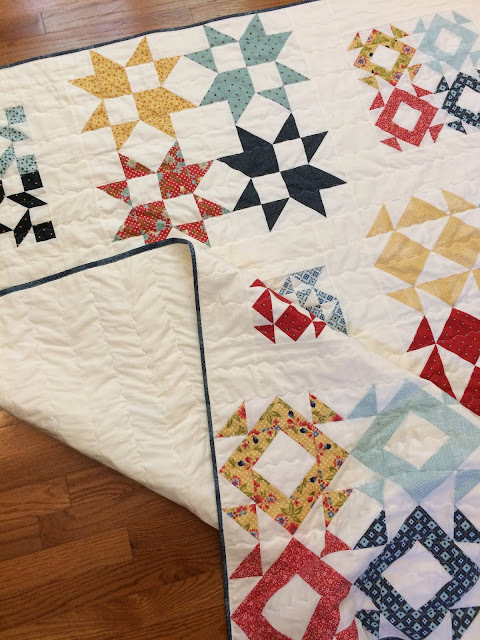 I'm talking about the final instructions for the Clementine Quilt Along (CQA)! Since January, Fat Quarter Shop has released a quilt block every month as part of their charity quilt along the Clementine Quilt Along. Every block is available to download but they do ask that you make a donation to St. Jude Children's Research Hospital (donation link). It's a great way to support a great cause! 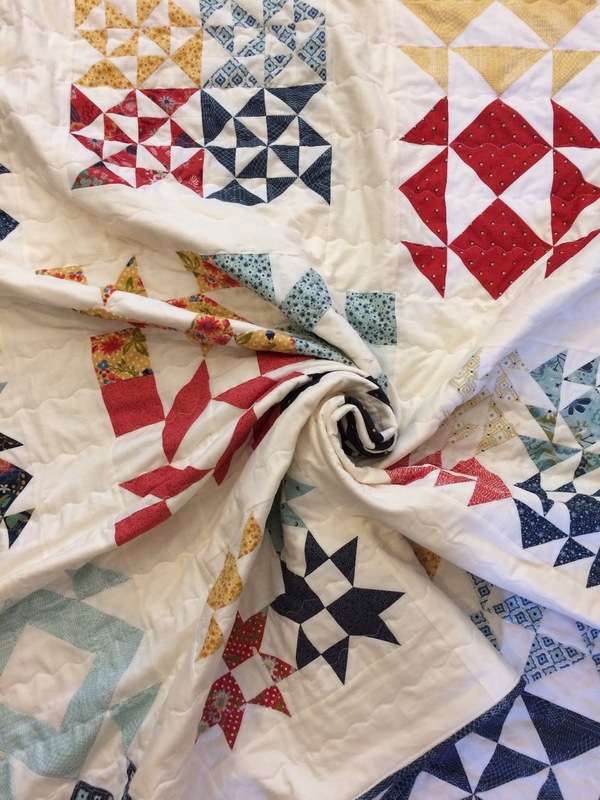 All the info can be found on the Clementine Quilt Along page. True to form, I didn't follow the pattern. Sometimes, I just can't help myself! I always justify it by telling myself that what I'm really doing is showing all you lovely people different options. Yeah... So, in this version of the quilt, I opted to keep the on point blocks square and I left off the borders. Really though, I am a firm believer in doing what works for you! Change sizes! Add/delete borders! Swap blocks! You do YOU! I used the Biscuits and Gravy fabric collection from Basic Grey Fabrics for Moda. I love, love, loved working with this collection. 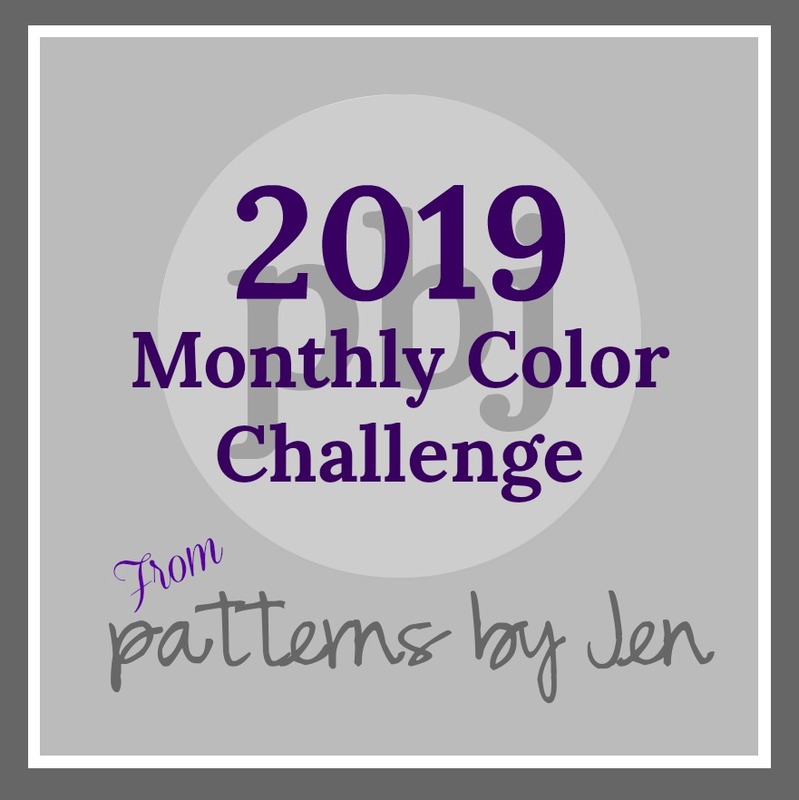 It's a color palette I don't usually go for but it made me happy every time I was using it. I hope this quilt will continue to bring me joy every time I see it. I quilted it with a basic serpentine stitch. That's the same I way I quilted this quilt nearly a year ago, and I swore I wouldn't use it again because of how much that quilt shifted. But, that quilt has become one of the most comfy couch quilts I have and it's because of the quilting! So, I decided to try the serpentine stitch again; and I also used every basting pin I had in the house to keep the shifting to a minimum! Lol. I think it turned out great. 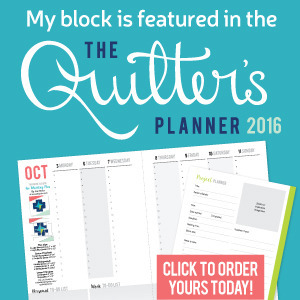 Be sure to check out all the other quilt bloggers who quilted along!